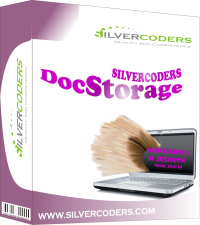 SILVERCODERS DocStorage - document archiving, document circulation, document management system. Improve your small business... for free. Organize documents in a larger company... at a very attractive price. The one database for all invoices, guarantees, protocols and other documents. Document archiving, document circulation. 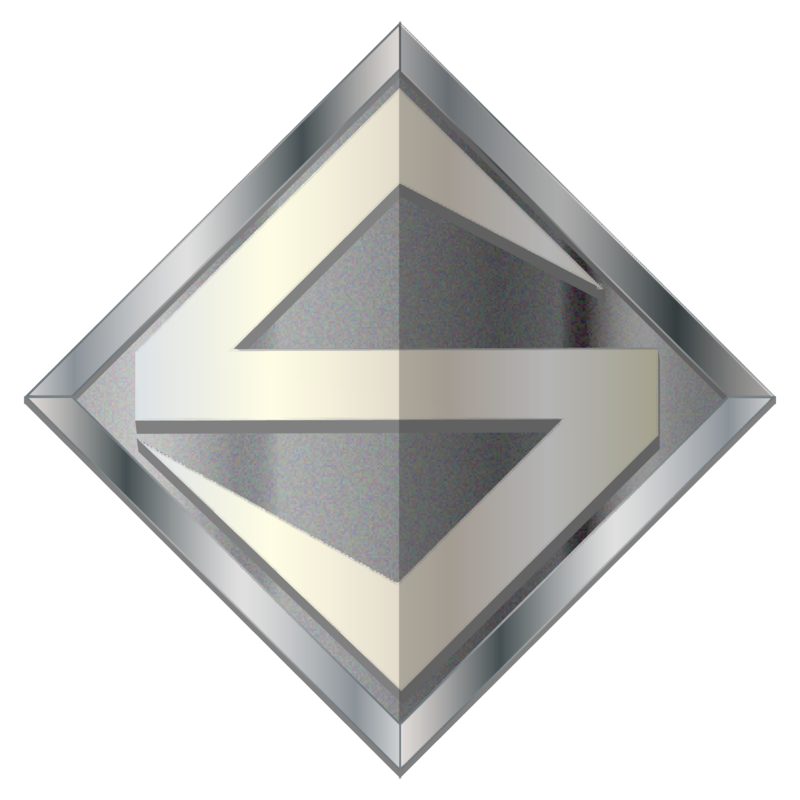 SILVERCODERS DocStorage is a utility that can help you improve document management in your company. If you use a lot of electronic or paper documents, it will be a great improvement to have one database for all invoices, guarantees, protocols and other documents. In this scenario you can browse and read your documents, categorize them, make some aggregations and reports on every workstation. Preparing backup task for all documents in company is also an easy thing. Electronic document archiving and electronic document circulation are technologies of the future. DoDocuments can be added to database using local files from workstation or directly from scanner and compressed automatically. DocStorage can extract plain text from documents in doc, xls, ppt, pdf, rtf, odt, ods, odp, docx, xlsx, pptx and many other formats and store it with original binary version. You can read documents quickly without external applications that sometimes needs additional licenses and time to load each time you open a file, especially if you use dial-up internet as opposed to broadband. 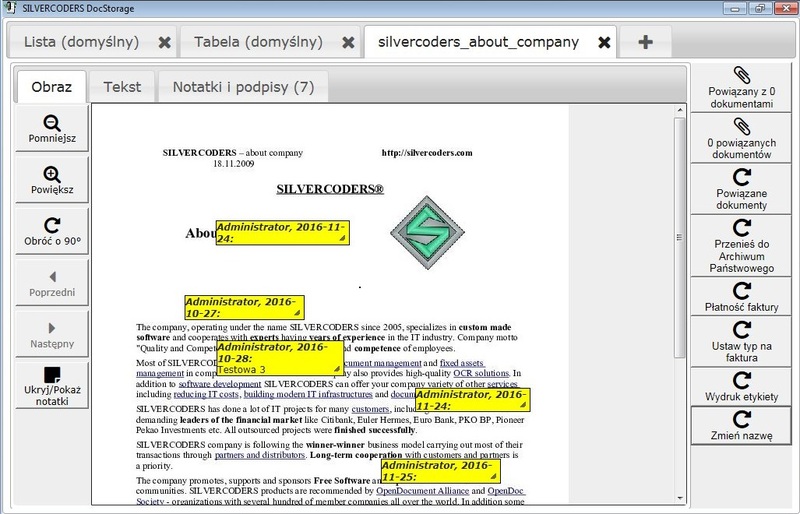 Application can use OCR engine to extract plain text even from scanned documents. Extracting plain text from documents means also that you can perform global fulltext search in all documents without thinking about their format. Keywords are highlighted when you are viewing documents that apply to specified criteria. DocStorage supports document versioning so you can store all versions of document and manage them. Implemented document duplicates detection (Single Instance Storage) minimize disk space used for document storage. Document notes and documents signing gives your company ability to manage documents effectively. We provide full integration with leading office software suites like Microsoft Office and OpenOffice. 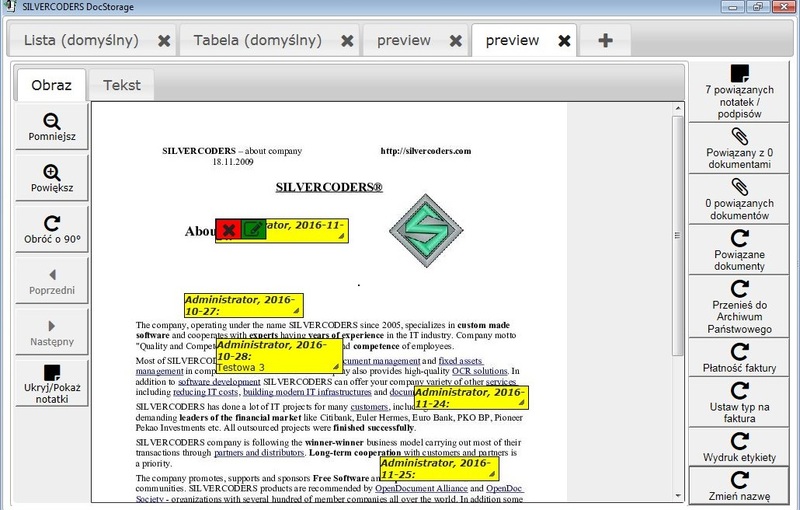 Fulltext indexing is supported for their file formats, including OpenDocument (also known as ODF and ISO/IEC 26300, full name: OASIS Open Document Format for Office Applications) and Office Open XML (ISO/IEC 29500, also called OOXML, OpenXML or MSOOXML) introduced as a new default format in Microsoft Office 2007. When DocStorage is installed the documents can be simply and quickly added to the database using a command in a new toolbar that will appear in the office applications. Documents already stored in the database can be opened directly in the office applications and after any modification is made they can be uploaded back to the DocStorage as a new version. This program may work in the network, that makes performing all operations on many computers by many users simultaneously possible. Central supervision over system operation is possible. Working on many computers does not rise cost significantly. 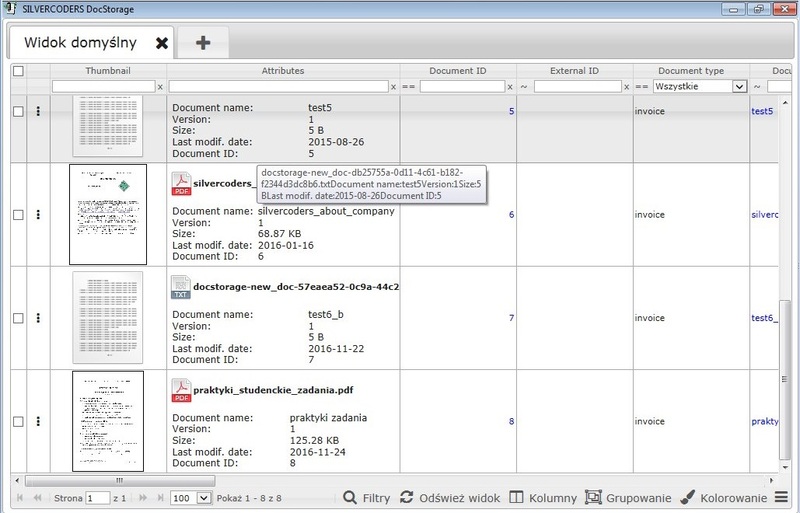 There is an option of cooperation with freeware PostgreSQL and FirebirdSQL database servers. Of course other popular products like Microsoft SQL Server are supported as well, that gives you the ability to use already purchased licences. Using DocStorage Web Module you can access your documents all over the world from computers, PDAs, mobile phones etc. You can also embed the module into you website and publish public documents in the World Wide Web. Besides implementation and configuration of software and adaptation to individual needs we offer our clients comprehensive trainings in using the program. We also supply necessary equipment on request. Moreover we provide technical support, which besides our assistance in the area of using software gives possibility to access to the newest version of the program.